Here is some of my recent and current reading with brief reflections . 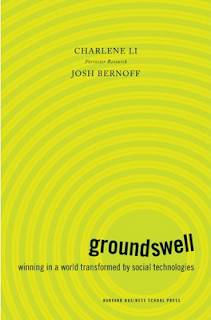 . .
Groundswell: Winning in a World Transformed by Social Technologies by Charlene Li and Josh Bernoff. I'm a third through this book that explores the various social technologies (Facebook, Twitter, blogs, etc. ), how they are being used, and how companies can benefit from them. Must reading for anyone in marketing. Thought provoking for thinking about how to use social technologies for mission. One upshot for me is my more frequent and intentional posts on Facebook. Getting Things Done: The Art of Stress-Free Productivity by David Allen. Though it's been around awhile, I just got around to GTD this year. I've read it through and am about 60 or 70% through implementation. Life-changing. Have you read it? If so, I'm curious how you're doing with implementing. What has worked and what hasn't? Have you discovered a good system for tracking tasks and projects? 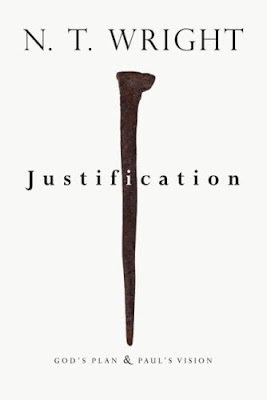 Justification: God's Plan and Paul's Vision by Tom Wright. This is Wright's response to Piper. As usual, I love what Wright affirms, but squirm with what he denies. IMO, this is his best book on Paul yet (he actually hasn't written a lot on Paul, though that's what he's most controversial for) and clarifies things that were muddy in What Saint Paul Really Said. I like how he ties everything into the Old Testament. But some of his criticisms of Piper and others makes me wonder if he's read them thoroughly enough. The Complete English Poems (Penguin Classics) by John Donne. I'm only spot reading, but this poetry has been been spiritually nourishing. See my previous posts for some of my favorite poems. The Once and Future King by T. H. White. My fiction piece right now, though I've kind of stalled out in it over the past month. But I intend to keep reading. Some of best laugh-out loud stuff I've read in a while. Fun book. The Groundswell book sounds interesting! I just don't seem to have the energy for reading anything interesting recently! I heard about Wright's book recently on Ben Witherington's blog. Intriguing. I've never really read Wright (or anyone else on this issue), but my curiosity is piqued by what I see on the surface.